This is the color Mix Color Chip. 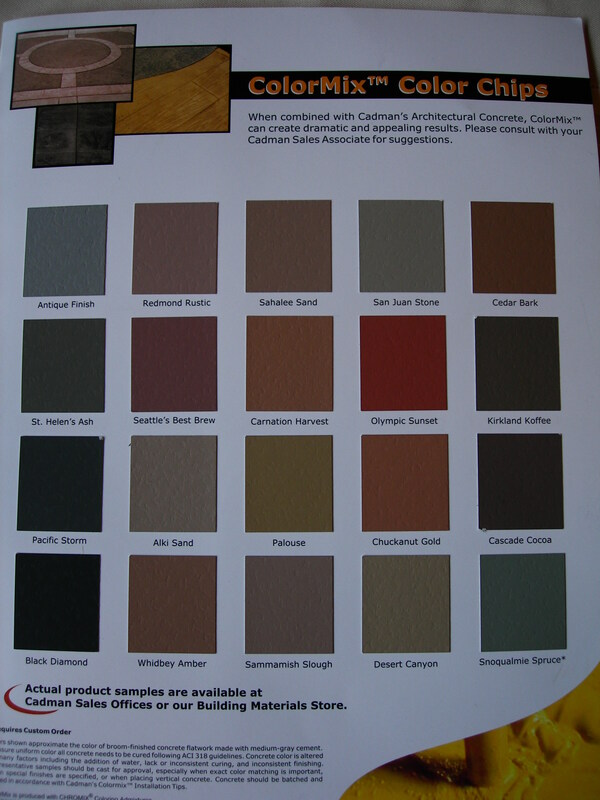 These are the colors the concrete is available in. It is mixed directly into the concrete at the plant. Generally, a release (second color) is then applied on top of the concrete before the stamping process. Release colors are shown on the next page.